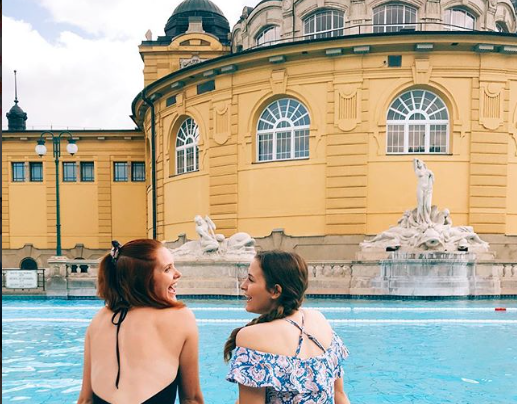 If you only have one day in Budapest, Hungary while traveling through Eastern Europe, your schedule is going to be packed trying to fit all the best parts of this beautiful city into a quick trip. Take it from us, don't leave this relaxing place out. 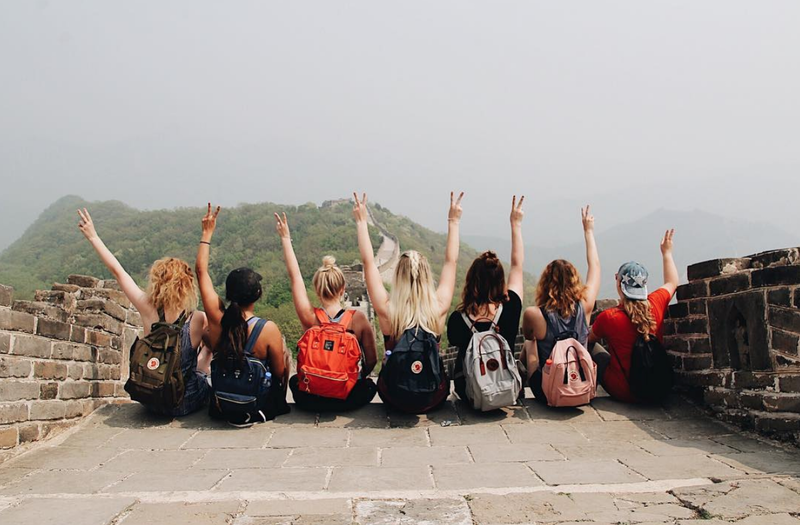 Want to see the world on your budget? Come volunteer with ILP! You'll be teaching English or volunteering in an orphanage part-time, with weekends and vacation time to see places like Budapest. Come see what life is like while volunteering in Ukraine right here. 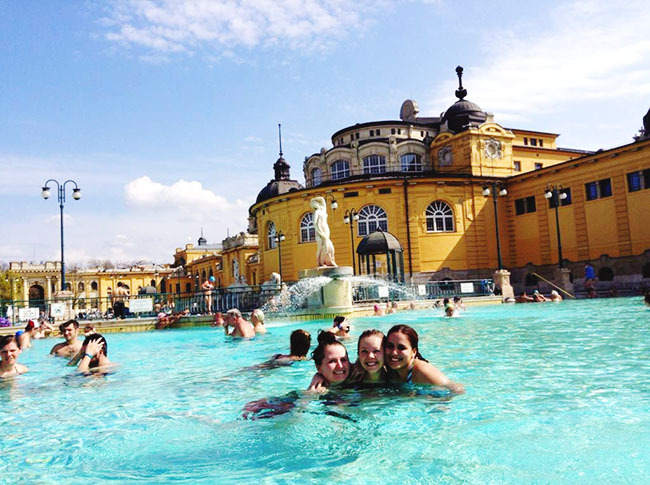 Yep, come travel all though Eastern Europe while you serve abroad in Lithuania (or one of the other ILP Europe countries) and be sure to add this spot in Budapest on your itinerary. 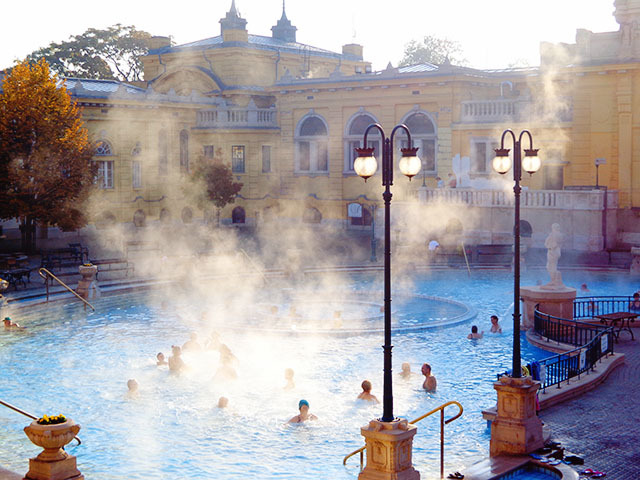 Budapest is famous for its relaxing thermal baths. Ever heard of the "City of Baths"? Yep, that's Budapest. The best way to treat yourself during vacation from teaching English in Eastern Europe is to relax! Hungary is one of the only places in world where you can experience true, traditional Turkish baths that date back to the 16th and 17th centuries. They take their baths seriously as they believe in its health and healing properties. Plus, it's a really fun way to treat yourself. There are a few options of places to go, but there's one in particular that just about every ILP volunteer in Europe recommends. 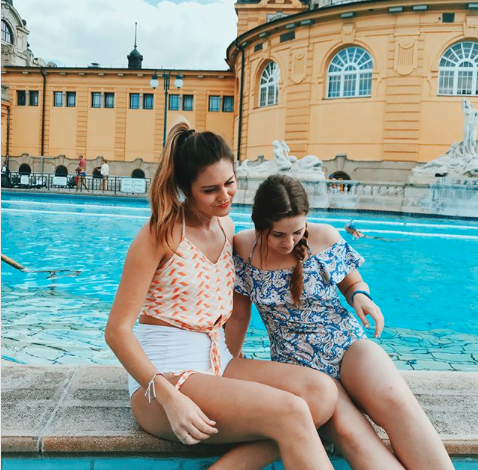 The Szechenyi thermal baths are the most popular and well known thermal baths in Budapest for a good reason. There are 18 indoor and outdoor pools to venture through for an afternoon of relaxation. There are several different baths of temperatures ranging from freeeeeezing to hot hot hot. You can make your way throughout the baths going from hot to cold, as they are set up, which is meant to be healthful for your body. Each pool also contains things like magnesium, calcium, and sulfate which are part of the healing properties of the spa experience. You'll be at the top of your game after relaxing here. The baths are open all year, even in the winter (which may be the perfect time to warm up!). You can purchase your tickets at the door, so no previous planning is required. These baths are located on the Pest side of Budapest (the city is split by a river). You can take the metro straight there which runs through about every 5 -10 minutes. Take the Millennium Underground (M1) to Széchenyi fürdő station. Oh, and it's super affordable - around $15. You can find pricing on their website as well as options to purchase tickets, although it is not necessary. You can purchase tickets at the door. There are different options, but you just need a day pass with a locker (to keep your personal items in). Bring your swimming suit and a towel as well to avoid purchasing one there. Bring a water bottle and be sure to drink plenty of fluids afterwards. Because of the extremes of certain pool temperatures, you will be very tired and relaxed after spending time swimming here. You may want to plan this excursion later in the day so that you can just grab some dinner and head to bed afterwards. Just be sure to see what time the pools close and give yourself at least a few hours there. The outdoor swimming pools are open later than the indoor baths, so do the baths first and cool off afterwards in the pool.